Mayura Station’s on farm restaurant, The Tasting Room, won best Steak Restaurant in South Australia at Restaurant and Caterers SA Awards for Excellence 2014; and was also featured on the ABC program Landline Sunday 3rd August with an interview with Scott DeBruin President of the Australian Wagyu Association, who runs South Australia’s main Wagyu farm at Millicent in the state’s South East. The interview featured the early beginnings into the Wagyu industry and the growth from the investment phase of the past 10 to 15 years, to a commercial enterprise. Mr DeBruin bought 29 animals from a top Japanese producer in 1997 and now has one of the biggest full-blood herds in the country with around 6000 heads and has been named one of the best producers of the Wagyu beef. Mayura Station is 400k from Adelaide in the South East of SA, on the outskirts of Millicent overlooking Canunda National Park in the pristine Limestone Coast. Award winning beef is produced at Mayurra and the recent 2014 Restaurant and Catering Association SA Awards named The Tasting Room the “Best Steak Formal” restaurant in SA. He said the recognition his company has received is also recognition for the whole region and it proves that success can be achieved where ever you live; he hopes this award will encourage people to achieve whether they live country or city. Restaurant & Catering SA Chief Executive Officer Sally Neville said this year’s ceremony reflected the high standard of hospitality operators in the state. “The winners are to be congratulated for their professionalism and hard work, servicing locals as well as interstate and overseas visitors,” Ms Neville said. “It’s great to see many of our awards going to venues in the regions, demonstrating the high quality of our premium food and wine experiences,”she said. 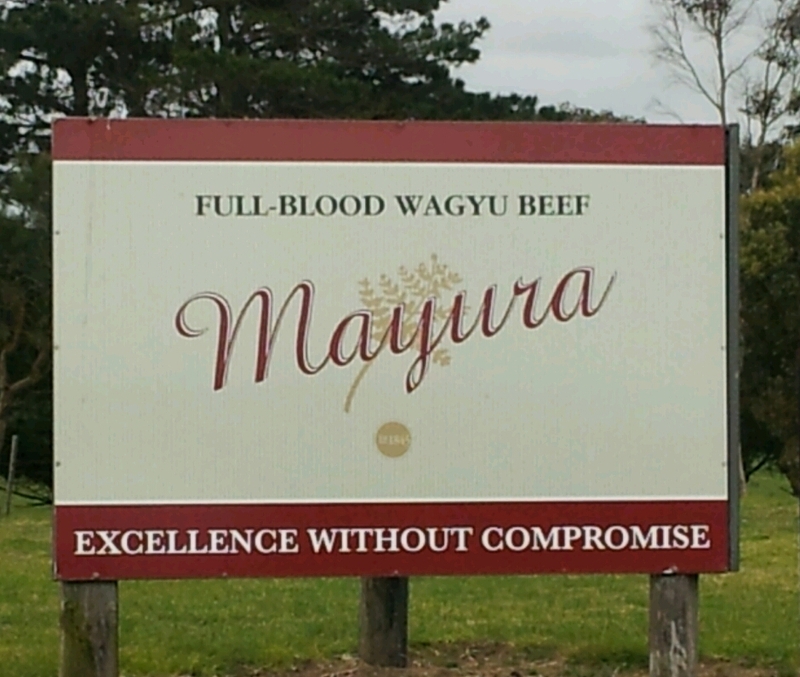 Mayura is a multi award winning local business whose recent awards include a Gold Medal from the Australian Wagyu Associations 2013 Branded Beef Awards, and are four time winners in the prestigious Delicious National Produce Awards, receiving the most recent in July 2014. Mayura Station’s on Farm Restaurant The Tasting Room won Best Steak Formal Restaurant in South Australia at Restaurant and Caterers SA’s Awards for Excellence 2014. Chef Mark Wright received the Award. Categories: Business, General News, Millicent, Wattle Range | Tags: Mayurra | Permalink.